The newest iOS 9.3.2 Firmware has already been released by Apple, and with iOS developers; general public users (non-developers) are also trying to experience the latest features of iOS 9.3.2 Firmware. So if you're one of those user who have some concerns over non-availability of iOS 9.3.2 Jailbreaking or you dislike the latest iOS Update, and now you're thinking to revert back to Older iOS 9.3.1 from Latest iOS 9.3.2 Firmware on iPhone SE, iPhone 6S Plus, iPhone 6S, iPhone 6 Plus, iPhone 6, iPhone 5S, iPhone 5C, iPhone 5, iPhone 4S, iPod Touch 6, iPod Touch 5, iPad Pro, iPad Mini 4, iPad Mini 3, iPad Mini 2, iPad Mini, iPad Air 4, iPad Air 3, iPad Air 2, iPad Air and iPad 2, then you can follow our working guide and tutorial on How to Downgrade iOS 9.3.2 to iOS 9.3.1 on iPhone, iPad and iPod Touch devices below. Old iOS 9.3.1 Firmware Final Version is still signing by Apple, and it's now possible to revert back from new iOS version to old iOS firmware version to regain iOS Jailbreaking with PanGu Jailbreak, TaiG Jailbreak and 25PP Jailbreak Tools. If you have already downloaded and installed latest iOS 9.3.2 Firmware, then still you have an option left to Downgrade iOS 9.3.2 Update. Backup all of your device data and information. Disable Find My iPhone option. 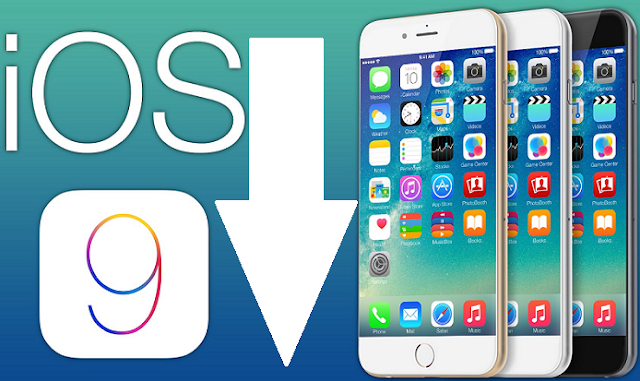 How to Downgrade iOS 9.3.2 to iOS 9.3.1? Step 1: Download your appropriate iOS 9.3.1 IPSW file via above direct links. Step 2: Now, Connect your respective iPhone, iPad or iPod Touch device through USB cable, and Launch iTunes software. Step 3: Place your Apple iDevice into DFU Mode: Press and Hold both Home button with Sleep/Wake button simultaneously altogether, release Sleep/Wake button after 12 seconds, while continuing to hold Home button, until iTunes software's pop-up message says "It has detected an iPhone in recovery mode". Step 4: Your iPhone screen will remain black, Now Press and Hold (Alt/Option Key on Mac) and (Shift Key on Windows) and Click on iTunes button saying "Restore iPhone..." (see below image for confirmation). Step 5: Now "Locate and Open" your iOS 9.3.1 IPSW file you downloaded earlier. When iTunes asked, just click "Restore" button. Wait for the whole downgrading process to get completed within few minutes. Step 6 (Optional): After successful downgrade, You can apply Untethered Jailbreak (if applicable). Congratulations!! You're done.